Mike Richard creates Easy Insta Profits to open up a new online business opportunity making money from your Instagram account. According to Mr. Richard, you can potentially make more than $1,300 a day by using your cell phone. Easy Insta Profits is an online money making an app that shows simple strategies to make money online up to $1,300 a day or 5 figures a month. After creating an account with Easy Insta Profits, you will have access to the member’s area which contains 13 tutorial videos on how you can create an Instagram account with which you can earn income online. The training teaches you through how to identify, build, sharing and producing high-quality and engaging image’s content to connect with your new audience, then use product placements and affiliate links to earn money online. The founder of the Easy Insta Profits system also claimed to hold the shocking secrets, an Unknown loophole, that allows him and several associates to make thousands of dollars every single day by spending only a few minutes per day. The 13 lessons are mostly introductory courses, but you still get a clear overview of what it takes to make money using Instagram. You are also learning basic email marketing, affiliate marketing, shout outs and product placements. There will upsell as soon as you register for an account with Easy Insta Profits. Who Is The Founder Of Easy Insta Profits? According to the sales video, Mike Richard is the founder of Easy Insta Profits. Mike was broke before he found this miracle loophole and now he’s making millions online with this “new” method. Mike Richards claims even if you do not know a thing about social media, online advertising, or marketing, you can make thousands of dollars in the first few days of using Easy Insta Profits. Does Easy Insta Profits Really Work? Easy Insta Profits offers the basic idea on how Instagram works, set up an account, build your following, and create engaging content to post. The 13 training lessons are unlikely to help you make $42,000 a month. It is unlikely that you will earn $8K in your first week with Easy Insta Profits. It’s not that easy. Building a following on Instagram takes some time. It requires a lot of work because you have to constantly create and post interesting and compelling content to engage with the audience. Easy Insta Profits is a program that preys on newbies and the naïve who want to get-rich-quick online with little or no effort. I can tell you right now that Easy Insta Profits, even though it may seem possible, but the earning promises are unrealistic. 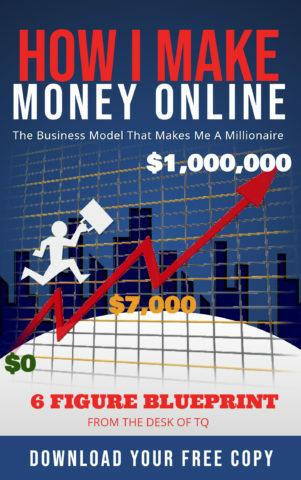 To make money online, or anywhere, requires work and a lot of work. The initial cost to join Easy Insta Profits is at $37. If you wait for a few seconds, this price will drop down to $17. There are upsells and other product recommendations to help you accelerate the process of making money online. However, these products are also Clickbank products which mean they are worthless and do not bring you thousands of dollars per week. The product upsell will cost you $147. After you finished the upsell process, it will likely cost you about $600-$700, according to Easy Insta Profits affiliate program. However, you are not required to buy any of these upsells. This is a Clickbank product, so the standard requirement of 60 days money back guarantee does apply. If you have purchased Easy Insta Profits and changed your mind, you have 60 days to get your money back, but only on Easy Insta Profits, not the upsells. Is Easy Insta Profits A Good Investment? Easy Insta Profits is a basic affiliate marketing training program, and since you can get basic affiliate marketing training for free, I do not recommend it. There are better programs to learn affiliate marketing that cost about the same or less and offer complete tools, resources, and support to help you build a successful business online, not Easy Insta Profits.